There's plenty of new music to be excited about this week...and we really mean that. 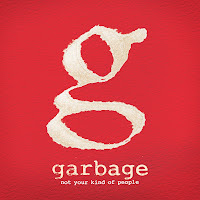 Not Your Kind of People, the long awaited new release from Garbage, is out this week (pictured), and that's just for starters. Major label records dominate this week with new material from Owl City, Lisa Marie Presley, and Adam Lambert. But don't count out the indies! How can we not get excited about records from Violens, Lee Bains III and The Glory Fires, and Parlovr? We also would like to mention Killer Mike, Reggie Watts, and Birthmark. Check out below for anything we failed to mention.